Sygnature’s standard time-dependent CYP450 inhibition assay (IC50 Shift) utilises drug-like probe substrates, HLM and the Phase I cofactor, NADPH and two pre-incubation times, 0 and 30 minutes. The assay monitors for the formation of the metabolites of the drug-like probe substrates in the absence and presence of a compound by LC-MS/MS following a pre-incubation period. All assays have two replicates per compound and include a positive control inhibitor. Data output consists of the generation of an inhibition constant or IC50 value. 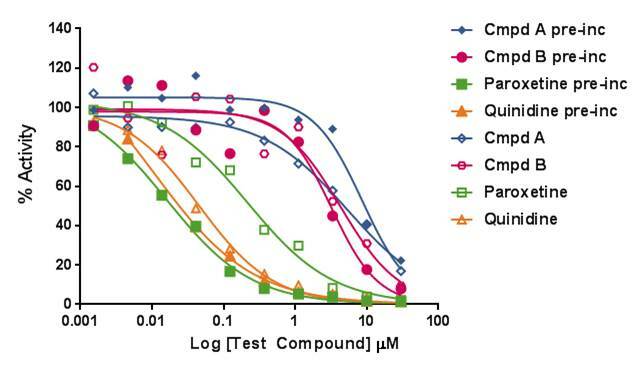 Figure 1 In-house CYP2D6 time dependent Inhibition (IC50 Shift) Screening Output for Quinidine (reversible), Paroxetine (time-dependent) and 2 test compounds, A and B. Data shown are the mean of 2 replicates. 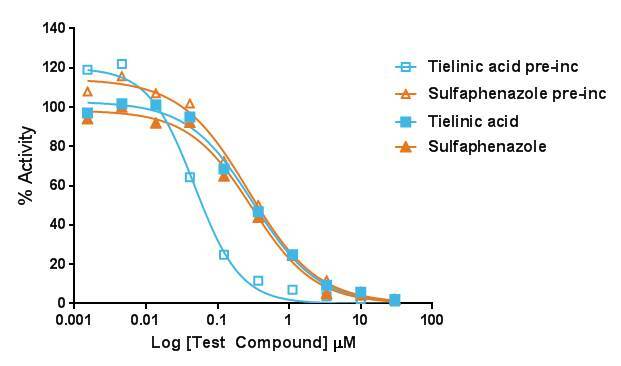 Figure 2 In-house CYP2C9 time dependent Inhibition (IC50 Shift) Screening Output for Sulfaphenazole (reversible) and Tielinic acid (time-dependent). Data shown are the mean of 2 replicates. 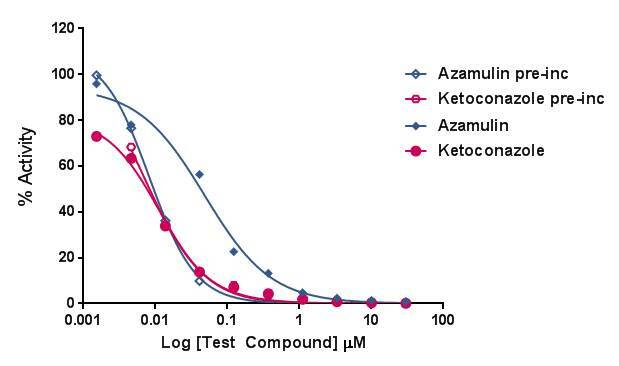 Figure 3 In-house CYP3A4 time dependent Inhibition (IC50 Shift) Screening Output for Ketoconazole (reversible) and Azamulin (time-dependent). Data shown are the mean of 2 replicates.